Let us talk about mechanic tools! After sieving through many tools available in the market, you may be puzzled on which the best toolset is and more specifically what will meet your current requirements. Say you were looking for a starter set for a simple DIY problem in your life. Would you go for Husky or Craftsman being the top mechanic tool brands? Think of it this way, would you let anyone who wasn’t an expert put their hands on a machine you love? No way, right? The same goes for the mechanic tool set you use for your vehicle. For the record, when it comes to mechanic tool sets, the name ‘Craftsman’ has always been used synonymously with hand tool quality, but now recent developers like Husky have stepped in to challenge that perception. Our review of the preceding products will focus on the most striking features and important key points that will help you buy the best mechanic tool set. Husky Tools has been a leading manufacturer of fine, well made and affordable tools for your workshop and businesses since its inception in 1924. It is impressive how Husky products keep on improving quality while their prices remain affordable to the customers. Currently, Home Depot is the exclusive seller of Husky products; All Husky handmade tools are exclusively manufactured by prime toolmakers in the industry such as Apex, Black and Decker, Western Forge and Iron Bridge. So you know that our suggested 268 piece up for review is one of the best Husky products there is to offer. The Husky ¼ inch, 3/8 inch, and ½ inch mechanic tool set are among the best comprehensive toolsets for DIY mechanics or professionals. 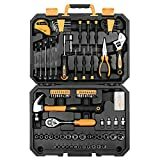 This 268 piece tool set has 168 different standards and separate sockets coupled with 20 combination wrenches and 19-bit sockets. This large profile will allow you to handle any fastening or repair project efficiently. You will also have large access to an array of durable and reliable tools that get the job done. 77 other accessories and dr. tools. Seventy-two of the tooth ratchets only need a 5̊ arc swing to turn fasteners, and the ratchet comes with a quick release button which easily removes the drive tools and sockets from the ratchet. They also have a fully polished chrome finish that easily wipes clean of dirt and oil. All the tools in the set are forged from chromium-vanadium (Cr-V) steel that offers extra durability and strength. Sockets and wrenches also feature chamfered lead-ins that aid to provide swift and simple placement into drives and fasteners and designed with off-corner loading. The latter helps prevent unnecessary rounding of fasteners. Wrenches feature a 15 ̊ offset which increases clearance and a stellar 12-point box end design. An extra chrome finish provides extra durability and corrosion resistance. For easy reading, the tools and the plastic storage case come marked with large, hard-stamps so you will not get confused on which tool to pick out from the 269 piece set. Finally, special tools like the screwdriver, hex keys and nut driver bits are molded from heat-treated S2 tool steel for increased strength and wear protection. 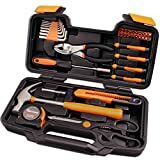 The Husky 268 piece is the best toolset to go for if you are looking for durable, good-looking and affordable tools for home or businesses. The fact that they come in a strong, durable plastic case makes it hard to lose any tool and organization is made easy. The set is guaranteed to cater to just about any task that needs a speedy repair from the kitchen plumbing, installing a shower head to fixing the sprinklers in the garden. Craftsman is an American brand currently controlled by Stanley Black and Decker and specializes in a line of hand tools, garden and lawn equipment. 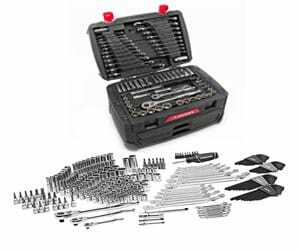 Craftsman 230-piece mechanics Tools include a total of 116 sockets and six wrench combinations which offer both SAE and metric measurements. The 1/2, ¼ and 3/8 inch drives come fitted with quick release ratchets and two universal joints and extension bars also come with the case. The entire toolset weight about 20.3 pounds and also includes 40 screwdriver and 20 nut drivers’ bits with magnetic handle. These screwdrivers are enough to fit perfectly on JIS screws without obliterating them. The Craftsman tools are molded from durable alloy steel and given a glossy silver finish. No batteries are needed to power up any tool, but the component grip on the case is poor. Some items may fall apart when opening or closing the case. The price of the entire set is relatively low for the number of tools you are getting. However, the Allen keys in the set come packaged in plastic bags that make it difficult to organize when you are in a time crunch. Conclusively, this is the best starter pack kit for people who are getting into the DIY sector for the first time. Craftsman offers a very extensive set and is suitable for anyone using it for outdoor work. The sockets and wrenches are incredible, and there is a sufficient number of screwdrivers. However, you will have an issue with arranging the Allen keys in the set and if you open the case the wrong way all the contents will spill out. For that reason, it is not suitable for someone working under constant pressure. From the discussion above, we can tell that Husky has put their best foot forward in the production of high-quality tools. The attention to detail is not only seen in the tools but also the case that is user-friendly and allows for organization. The lifetime guarantee offered on Husky products is also a bonus as you can easily go back to the store and request for a replacement on a broken or faulty tool. 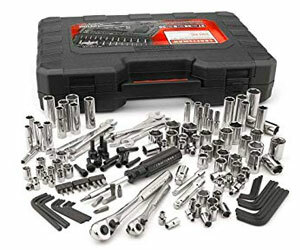 Craftsman, on the other hand, fell short when it comes to the casing, and if you are into organization, then you will find the 230 toolset quite frustrating. However, we can’t dull the shine of Craftsman products from one bad quality that can be improved. Craftsman also shares some similar features with Husky like the quick release button. The Craftsman set is perfect for outdoor work, and the magnetic handle on the nut driver will limit the chances of ever misplacing the tools. DeWalt is an American brand of hand tools and power tools suitable for manufacturing, construction and woodworking industries. It is traded under the name of Black & Decker and constantly comes new designs for tools to enhance performance in the toughest job conditions. The DeWalt 204 piece tool set is not just an array of tools thrown in by the manufacturer just to wow you. Every tool serves a unique purpose and is made to last a lifetime. For starters, the ratchets use a 72-tooth gear system that is made for high-torque ratcheting and can make a 5̊ arc swing. This tool weighs 26.6 pounds as it includes ¼ inch, 5/32 inch, 3/16 inch, 4 mm to 1 mm and 1/2-inch sockets. The set also comes with different extension bars, specialty bits, drive socket bits, hex keys, and wrenches. You will be glad to know that the set also has Torx tools and the tools come craftily designed with non-slip knurls on the gripping surface. You therefore no longer have to complain about a slipping tool when opening a nut. When you need to remove bolts from an obstructed part, the slim head design on the tools allows them to get the obstructed bolts and loosen them easily. The DeWalt DWMT72165 is the perfect set for accomplishing tasks quickly and with minimal strain. 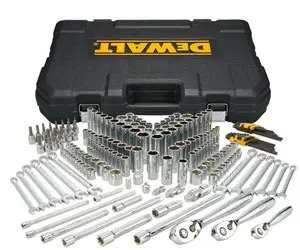 The DeWalt DWMT72165 is a superb set of wrenches and has quite some features that can be found to be appealing to any mechanic. You are guaranteed to enjoy using the tools for years on end. All the ratchets have a neatly shaped handle and exert fine gearing. The only problem is how heavy the wrenches feel on the hand. That may pose a problem for people working in tight clearance areas. You also need to be careful when opening the case to avoid spilling out all the tools. Do Husky tools have lifetime warranty? Where are Husky hand tools made? Do Craftsman tools have a lifetime warranty? 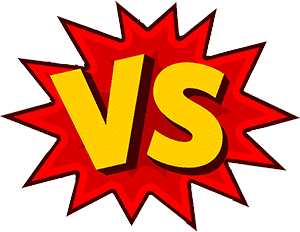 Is DeWalt better than Craftsman? Where are DeWalt tools made? Husky offers a lifetime warranty on its tools. Meaning that no matter what year you bought the mechanical set, if one breaks, you can go back to the shop and ask for a replacement. Husky’s warranty information stipulates that at its option it will replace, repair or credit the purchase price of its products. That is if upon examination the products are found to be defective and the product falls in the line of hand tools manufactured as of 2015. The customer must also have the original receipt to redeem the warranty. Husky hand tools were originally made in the United States, but currently, they are made in Taiwan and China. Leading brands like the western Forge, Apex Tool Group, iron Bridge Tools and Stanley Black & Decker pioneered the manufacturing of Husky tools. The tools are famously known as the house brand for Home Depot. You get a full lifetime warranty on hand tools, new tape measures (sold after September 2018) mechanical and non-electric automotive tools. If the preceding products fail to perform for any reason, you can contact the retailer and get a replacement. You do not need to show the stocking retailer a proof of purchase. Other hand tools like staplers and miter boxes, legacy tape, measures DigiClick Torque wrenches, metal too storage boxes, Versatrack Accessories, and Legacy Corded hand-held power tools only get a one-year limited warranty. Craftsman tools are made in New Britain, Connecticut. A variety of manufacturers come together and collaborate to bring each unit of the products into existence. They include Stanley, Danaher Corporation, Apex Tool Group, Pratt-Read, Western Forge, Moore Drop Forging and Easco Hand Tools. DeWalt and Craftsman are similar when it comes to offering a large set of wrenches and other tools to choose from. Both manufacturers also offer a lifetime guarantee on their toolboxes. DeWalt, however, beats Craftsman when it comes to offering slim head tools that are what you need to reach obstructed parts that would be otherwise frustrating to access. DeWalt has also invested in non-slip knurls on gripping surfaces, and that’s what you need for utmost precision when doing your work. It also saves on time. Where DeWalt falls short of Craftsman is how heavy the wrenches are. No one wants to work all day with heavy tools that could tire them and potentially harm them if they dropped on their feet. DeWalt tools all manufactured in facilities in the United States. DeWalt also outsources globally manufactured parts from the Czech Republic, China, Brazil, Mexico, Italy, and the United Kingdom. It is clear that it’s not just mechanics that can get to use mechanic tool sets. Anybody could use a toolbox to fix a light plumbing issue or to tighten the loose nuts on a bike. Just follow some online tutorials on what to do if you are big on DIY. There is no hard and fast rule in selecting the best mechanic tool set. The choice heavily relies on the type of work you intend to do, what kind of mechanic you are and the level of convenience you need. Our alternative DeWalt recommendation for you is also worth looking at if you do not mind the higher price that comes with, the better features. But whichever you choose, we hope to enjoy a hassle-free mechanic life.